This two-volume book considers from a risk perspective the current phenomenon of the new Alt-Right authoritarianism and whether it represents ‘real’ democracy or an unacceptable hegemony potentially resulting in elected dictatorships and abuses as well as dysfunctional government. Contributing authors represent an eclectic range of disciplines, including cognitive, organizational and political psychology, sociology, history, political science, international relations, linguistics and discourse analysis, and risk analysis. The Alt-Right threats and risk exposures, whether to democracy, human rights, law and order, social welfare, racial harmony, the economy, national security, the environment, and international relations, are identified and analysed across a number of selected countries. While Vol. 1 focusses on the US, Vol. 2 (ISBN 978-3-8382-1263-0) illuminates the phenomenon in the UK, Austria, France, Germany, Netherlands, Norway, Italy, Hungary, and Russia. Potential strategies to limit the Alt-Right threat are proposed. Dr Alan Waring, main contributor and editor. Originally qualifying and practicing as an industrial chemist, in mid-career he switched to management and social sciences. PhD 1993 at Westminster University jointly with Aston Business School, for an ethnographic study of three cases of organizations undergoing substantive change. International risk management consultant on range of corporate, strategic and operational risk issues to government departments, institutions and large corporations 1986–2016. Reports contributed to several public inquries on major disasters. More than 80 assignments in 14 countries. Sometime visiting academic roles in Beijing (International Risk Consultant, Tsinghua University 2005–2007), Hong Kong (Adjunct Professor, Centre for Corporate Governance and Financial Policy, HK Baptist University 2006–2008), and Cyprus (Visiting Professor, Centre for Risk, Safety and the Environment, European University Cyprus 2012–2016). Special risk study 1993–1998 (in Iran and UK) relating to Iran’s planned transition to ‘an economy without oil’. Books include Managing Risk (Waring and Glendon, 1998), Corporate Risk and Governance (2013) and Practical Systems Thinking (1996). Over 100 conference and seminar papers in UK, USA, Australia, China, Hong Kong, Singapore, Iran and Cyprus. Several hundred articles in the academic, business and popular press. Contributor of The Risk Watch column in Financial Mirror since 2004. “I will start by cutting away the academic jargon and getting straight to the point. Do you want to understand the Alt-Right? Read this book. Do you want to appreciate the risks to democracy from the Alt-Right? Read this book. Do you wish to know if there is a way to combat the threat and how to set up protective nets? Read this book. 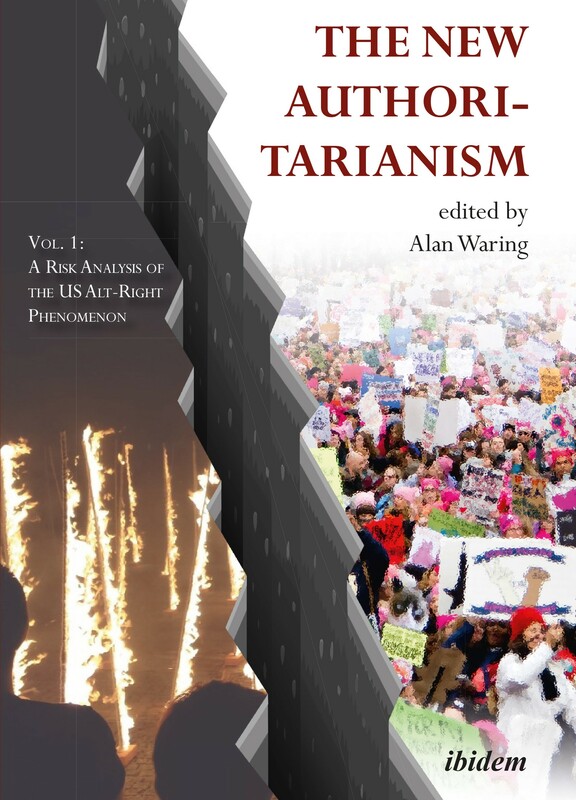 This two-volume edited work (volume I dealing with the US scene and volume II with the European context) by Dr. Alan Waring is like building a tapestry. Threads are put together in a skillful and professional way to create a whole. But it is not decorative. It is as hard as it gets. It does not pull any punches in successfully raising consciousness about the Alt-Right and the threats it poses to democratic societies. By any standards this work is a tour de force. The combination of accessible language; useful introductions in the form of abstracts to each chapter; good bibliographic sections; a glossary of concepts; the broad spectrum of contributors, their knowledge, analytical skills and diverse perspectives; the application of theoretical tools in examining and understanding the subject area in a coherent way; the critical evaluation and cogently argued outcomes and conclusions, all work in synergy to create an unusually impressive piece of scholarly work. I regard this phenomenal work to be a major contribution to our understanding of the risks facing democracies from the rising new authoritarianism. I can safely predict that it will establish itself and remain a major reference book for generations to come.